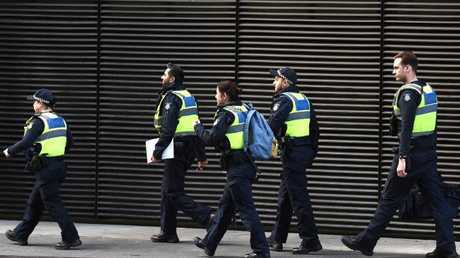 POLICE have spent the night hunting the suspected attacker who is believed to have fatally stabbed a young woman at an apartment party in Melbourne as its residents cry foul over "increasing parties" at the residence. 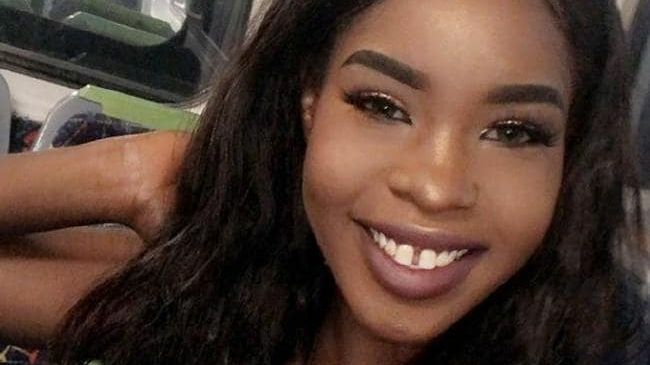 The nineteen-year-old woman killed in the attack in a Melbourne CBD apartment complex on Saturday morning has been identified by The Herald Sun as Laa Chol from Pakenham, in Melbourne. Shocked friends have remembered her as a quiet person not known for causing trouble. Commander Tim Hansen, of the North West Metro region, told reporters the woman died from "assault related injuries" when a group of people crashed a party she was attending. Neighbours reprtedly heard "horrendous screaming". There are unverified reports she was stabbed to death. Police were called to an address at the EQ Tower on A'Beckett Street about 5.15am Saturday following reports of a woman suffering serious injuries. Paramedics attended but the victim died at the scene. 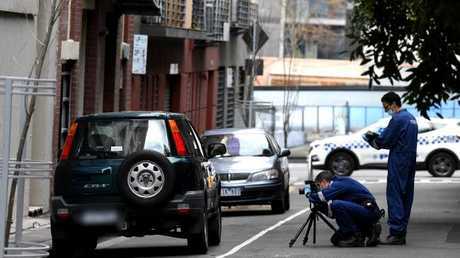 Police investigate after a woman was killed in Melbourne. Picture: Nicole Garmston. One of EQ's residents, Sean, said this was a growing problem in the tower. Mr Hansen said Ms Chol was part of a group who had rented a short term stay apartment in the building. During the course of the night, a "second group" arrived at the address on the 56th floor, and "a dispute of some nature occurred resulting in the victim being assaulted". "A number of persons have immediately left that party," Mr Hansen said. "Police arrived to what was a fairly chaotic scene." One neighbour, who spoke on the condition of anonymity, told reporters she heard "horrendous screaming" coming from the building in the early hours of Saturday morning. "Normally I would call the police but they went off down the road. "But it's not unusual coming from this building. "So much goes on in the building in the middle of the night with people drunk." Police sift through rubbish for evidence in Anthony Street. Picture: Nicole Garmston. 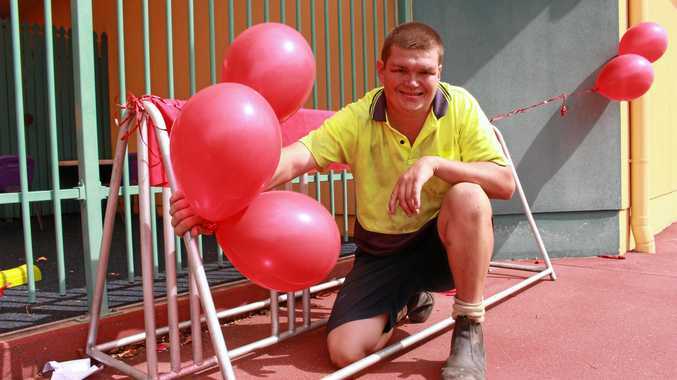 "My understanding is this wasn't a random attack," Mr Hansen said. Police appear to be focusing on a specific car near the crime scene. Picture: Nicole Garmston. About a quarter of the EQ Tower's 633 apartments are short-term stays, according to Melbourne Real Estate which manages rentals in the A'Beckett St address. The Financial Review reported that EQ has been swamped by Airbnb, which along with Booking.com and Expedia lists dozens of rooms owned by investors in the tower. An Airbnb style short term rental was allegedly trashed by African Australian youths in the Melbourne suburb of Footscray in May, as was a Werribee house last December. Another resident said that at the beginning of the night he saw a few girls in the EQ Tower lobby and a group of young men "running and yelling" outside around 4am or 5am. CCTV footage from the apartment building is currently being reviewed by authorities as police seek to locate the second group. 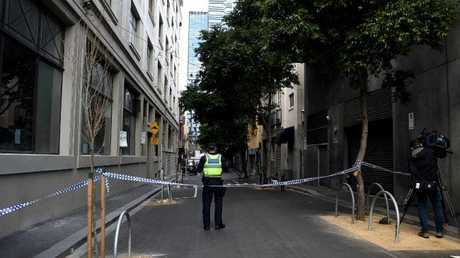 Nine News has reported that several nearby residents heard an argument between a man and woman around 2am in Anthony Street, close to the apartment block where the woman was found. The 65-storey EQ Tower is popular as a short term stay and rents rooms starting from approximately $125 per night. 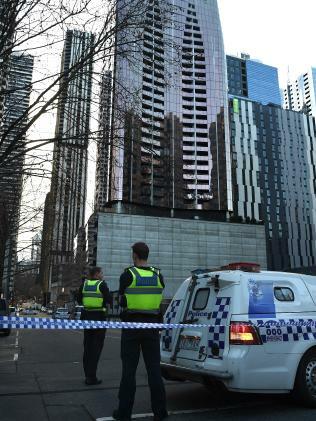 A woman has been killed in a Melbourne apartment building. Picture: Nicole Garmston. 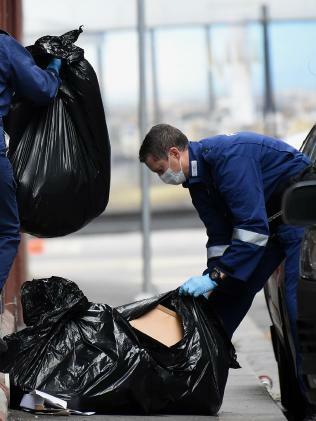 Outside the building, forensic investigators this morning appeared focused on a green Honda parked on the street and sifted through a rubbish bin where they were seen retrieving a pair of jeans. A grieving young man approached by media outside the tower asked a cameraman to stop filming, Fairfax reported. "My friend just died," the man aged in his late teens or early 20s said. Police said the victim's family has been notified of her death. "We've put support around the family … we are reaching out not only to the family but the extended community of the victim," Mr Hansen said. The area was earlier cordoned off but traffic is now moving freely through A'Beckett Street. Nearby, Anthony Street remains closed as police scour the area for evidence.